Citation: Gokarneshan N (2018) A Review of Some Significant Insights on Nano Finishing of Protein Fibres. J Nanosci Nanotechnol Res Vol.2: No. 1:4. The article critically reviews the recent trends in nano finishing of protein fibres such as wool an silk. The finishing methods adopt an eco-friendly approach aimed at sustainability. Plasma treatment as an environmentally friendly process was used to prepare Wool/PET fabric for enhanced deposition of titanium dioxide nanoparticles. TiO2 nanoparticles were stabilized on the fabric using citric acid as cross linking agent in the presence of sodium hypophosphite by a pad-dry-cure process. Wool fabrics are subjected to different surface modification methods in order to improve their hydrophilicity, dyeability, antimicrobial, shrink proofing properties. Especially environmental friendly methods and application of biopolymers are gaining importance instead of conventional processes and textile chemicals. Silver nano particles have been applied on silk using cross linking binders by pad dry cure method. Application parameters have been optimized and relevant physical, structural and antimicrobial properties are evaluated. Mechanism of the binder action is found to be impregnation or adhesion. a novel functionalization approach has been addressed by using sodium alginate (Na-Alg) assisted green silver nanoparticles (AgNPs) on traditional “Rajshahi silk” fabric via an exhaustive method. The synthesized nanoparticles and coated silk fabrics were characterized by different techniques, including ultraviolet–visible spectroscopy (UV–vis spectra), scanning electron microscopy (SEM), transmission electron microscopy (TEM), energy dispersive X-ray spectroscopy (EDS), X-ray diffraction (XRD), thermogravimetric analysis (TGA), and Fourier transform infrared spectroscopy (FT-IR), which demonstrated that AgNPs with an average size of 6–10 nm were consistently deposited in the fabric surface under optimized conditions. Recent developments in different treatments that confer functional characteristics on wool have been reviewed. Wool fabrics are subjected to different surface modification methods in order to improve their hydrophilicity, dyeability, antimicrobial, shrink proofing properties. Especially environmental friendly methods and application of biopolymers are gaining importance instead of conventional processes and textile chemicals. In this study, nano chitosan particles were synthesized, applied on wool fabrics and compared with bulk chitosan in terms of various properties. Agloaded chitosan nanoparticles was also synthesized and examined in terms of its antibacterial activity by different application methods. The various kinds of textile materials include natural fibres like cotton, wool and silk, synthetic fibres like polyesterpolyamide- acrylic, regenerated cellulosic fibres like viscose and their blend fibres. Due to the economic recession these commercial fibers have been negatively affected. The production of wool globally has declined. Approximately world wool production is 1.3 million tons per year. Whereas, the global production trend in synthetic fibres has shown upward trend during recent years, particularly polyester fibres. Hence, various types of treatment are required to improve them. In order to alter their properties, textile materials are sometimes finished by chemical processes. Earlier starching has been widely used to produce clothing more resistant to stains and wrinkles. Recently the fabrics have been rendered stronger and wrinkle free by emerging technologies like permanent press process and finishing agents. Very recently, new developments have emerged for permanent treatments based on metallic nano particles for making textiles more resistant to water, stains, wrinkles, and pathogens. Many types of treatments have been applied on textile materials before reaching the end user. There exist several possibilities ranging from formaldehyde finishes (to improve crease-resistance) to biocides finishes and from flame retardants to dyeing of many types of fabrics. But, a number of such finishes can also have adverse influences on the end user. As a result, presence of chemical treatment, quality control and testing techniques are considered crucial [1-4]. The scope for application of innovative chemical finishes has been prompted by the rapid growth in textile industry and in their end-uses. Thus, it is crucial to show the functional properties of wool and certain synthetic fibres like felting and shrinkage, pilling, microbial, surface characteristics, and so on. The above type of proofing can be affected by organically grown fibres treated with toxic chemicals, and such chemicals can result in issues relating to health and environment . For various applications such as water purification, indoor air purification/deodorization, antibacterial effect, antifogging and self-cleaning glasses, titanium dioxide nano particle coatings have been used widely. Recently, several studies have reported deposition of nanocrystalline TiO2 layers on textiles to obtain self-cleaning properties . When TiO2 is exposed to photon radiations with energy higher than or equal to the band gap, electron hole pairs can induce the formation of reactive oxygen species, which oxidize and degrade pollutants and bacteria . The use of wool fibers in the textile industry has gained prominence. It is composed of keratinous protein as a basic constituent and the minor component Cell Membrane Complex (CMC). CMC forms a continuous phase in the fiber, links cortical and cuticular cells. The cuticular cells are located on the outermost part of the fiber surrounding the cortical cells. The surface of these cells is hydrophobic nature due to the presence of a fatty acid monolayer covalently bounded to the epicuticle layer [8-10]. Owing to its superior properties silk has been considered as one of the popularly used textile materials and also as the queen of textiles . Fabrics produced from silk are distinctly luxurious and possess a number of outstanding qualities such as lustre, wearing comfort, fine and smooth texture, fine and smooth texture, soft handle, and excellent draping quality. Over the years natural silk has been used conventionally in textiles because of its inherently elegant sheen, great flexibility, environmental friendliness and excellent mechanical strength. As a natural protein fibre, silk possesses a chemical structure very similar to human skin with smooth, breathable, soft, non-itching and antistatic characteristics, which endow it a suitable material for high grade clothing . But, potential defects of silk fabrics include their tendency to crease easily during home laundering, tendering nature when wet and easy microbial attack due to its hygroscopic nature . Recently, nano particles have attracted a good deal of attention in various areas, including chemistry, physics, materials science, life sciences, and engineering because of their superior characteristics, such as optical, magnetic, electronic and catalytic properties . Among metallic nanoparticles (NPs), the size of AgNPs ranges between 1 nm and 100 nm, making them one of the best candidates for several applications including biosensing, antibacterial, antiviral, and antifungal activities, drug delivery, catalysis, electrochemical, conductivity, and so on, with exponential accretion production [15,16]. For the preparation of metal nano particles many physical and chemical techniques are available. But they are not eco-friendly [17,18]. The recent years have opened up new and prospective avenues for wool fibre owing to major research and development achievements in technical applications. Nanotechnology is the science of self-regulating materials and processes that are controlled at the molecular level. A number of techniques are available for coating of fabrics. These are spraying, transfer printing, washing, rinsing and padding. The most widely used is padding. A padder enables attachment of the nano-particles to the fabrics, which is adjusted to appropriate speed and pressure, and is then cured and dried [19,20]. During the past few years photo grafting technique has been adopted to prepare the wool fibre using silver loaded silicon dioxide nano-antibacterial agent, and on the wool fibre surface antibacterial layer has been formed . The hydrophobic nature and scale structure of the wool fiber led to the fiber to move towards their root end under mechanical action in the wet state . The shrinkage of wool fibres has been prevented through a number of techniques and chemical treatments. This has primarily been achieved by coating with resins like polyamide epichlorohydrin or grafting polymers onto wool fibres and secondarily by means of morphological modification of the cuticular cells through chemical or physical treatment . Certain functional properties of wool and synthetic fibres (acrylic, polyamide and polyester) brought about by various techniques have been highlighted. Wool has been treated using glycerol polyglycidylether (GPE) in concentrated salt solutions. Also, the use of sodium methoxide or sodium hydroxide in a 2-propanol medium is required to overcome shrinkage of wool. The pilling and shrinkage get enhanced by DCCA (Dichlorodicyanuric acid) treatments. Particularly in industry chemical treatment followed by enzyme is better preferable . Enzymes are biocatalysts and can be used to overcome demerits in properties like shrinkage, pilling, hydrophilic, etc. for wool and synthetic fibers. The felting properties can be imparted on wool by means of sericin which is a biopolymer. Also, casein, which is a natural polymer has been used for enhancement of the surface of acrylic fabrics. The decrease in shrinkage, felting and pilling in the case of wool, polyester, polyamide and polyester has been caused by application of cyclodextrins. On the other hand such application resulted in properties like antimicrobial, hydrophilic, soil-resistant, and so on. Owing to their nontoxicity and biodegradability their use will get enhanced thus providing “green” solutions for improvement of such important functional properties of textiles. Plasma technology, as a very active tool applied to wool to modify the surface substrate. In the long term the increasing importance of environmental issues will favour the use of this technology. Nanotechnology in the textile is mainly being tried into areas of fibre formation and processing of fabric. It enables enhancement of characteristics such as wrinkle-resistance, soil and water repellency, antistatic, antibacterial and UV protection with regard to chemical processing area. Use of silver, titanium dioxide and zinc oxide nano particles in textile finishes result in antibacterial and UV blocking. Enhancement of functional properties of textile materials is considered crucial to the textile industry. The developments in chemical treatments of textile materials for imparting functional properties will be determined by factors like economic forces, market demands, and environmental concerns. Textile chemicals are required at economical cost at global level, which is achieved by decrease in the quantity of water to be shipped. Generally undesirable side effects are caused by the use of textile chemicals. Products like plasma need less energy and water to perform such functional characteristics. Textile industries see a promising future for plasma technology, with the environmental and energy conservation benefits, in developing high-performance materials for the world market . Cyclodextrins are nontoxic and biodegradable, there by offering “green” solutions to enhance the properties and providing new functionalities to textile products. Biopolymer like sericin, can be opted for use so as to enhance functional characteristics arising from their economic cost in comparison with other chemicals and also prove to be safe ecologically. It is expected that the constraints in application of conventional techniques in imparting specific characteristics to textile materials will be overcome by nano technology in the times to come. There will be an increase in the improvements on the application areas of nanotechnology in textile industry like anti-bacterial textiles, antistatic textile, flame-retardant textiles, and so on. One of the widely used blend textile materials in the textile industry is Wool/PET fabric. Investigation has been carried out regarding the self-cleaning finishing of this fabric. The loading of titanium dioxide nano particles have been improved by pretreatments using lipase enzyme and potassium permanganate as oxidizing agent [25,26]. The adsorption of titanium dioxide nano particles on fibres has been improved by oxygen plasma treatment which introduces oxygen containing functional groups to the surface of wool and polyester fibers and removes the hydrophobic scales of wool. This is affected without yellowing and affecting the physical properties of the fabric. In this study the wool/PET fabric was functionalized with oxygen plasma and coated with TiO2 nanoparticle and the self-cleaning property of the finished fabric was evaluated. Before coating with titanium dioxide nano particles, wool/PET fabric has been treated with oxygen plasma. There has been improvement in the amount of nano particle loading on the fabric by mans of plasma treatment. In comparison with noncoated and raw coated samples the plasma treated and coated sample exhibit better self-cleaning property . The physical properties of the fibres can be preserved by plasma treatment which can substitute processes like oxidizing and enzyme pretreatments that do not consume water and chemicals. The outer surface of the fiber comprises of cell bundles that possess a scaly structure . The presence of scales with relatively hard and sharp edges hinders the sorption characteristic of wool since which pose a barrier for the diffusion. The performance and quality of finished wool fabric with regard to handle, lustre, pilling dyeability felting, and shrinkage is influenced by its scaly structure. Different techniques of surface modification on surface of fiber are required so as to overcome the problems associated with shrinkage and hydrophilicity of wool. Chemical methods have been the major treatment for eliminating such problems earlier. But, owing to the increasing environmental pressure, textile industry has been encouraged to use ecological processes, like enzyme, plasma and biopolymers in place of chemical treatments. Besides escape potential chemical pollutants and their effluents as a result of chemical processes, bulk properties of fabric can be protected. Chitosan is a renewable polysaccharide-based cationic biopolymer. It is derived from the chitin component of the shells of crustaceans. It holds promise for replacement of some synthetic polymers having desirable properties that consist of nontoxicity, biocompatibility, biodegradability, antimicrobial activity and chemical reactivity. It can be used mainly for the purpose of shrink resistance, dyeability, antimicrobial effect in wool finishing treatments. In order to reduce wool damage, chitosan application before enzyme treatment is used in many studies [29-32]. Due to its polycationic character, it has an interaction with oppositely charged molecule or surfaces of enzymes and wool fibers. Whereas, it can be removed partially from the fabric surface based on conditions of washing. The suitable treatment coupled with chemical agents can prove advantageous to offer the stability against multiple washings. New investigations have been directed on nano sized chitosan particles so as to achieve more merits of chitosan. The use of nano chitosan is a relatively new concept in textile industry. The unique properties of nano-particles include large ratio of surface to volume, surface-active multi centers and high surface reactivity. The merits of chitosan and nano-materials have arised as nano chitosan having outstanding physicochemical characteristics. It is bioactive and frequently used in many industrial areas including textiles [33-37]. Enzyme treatments offer the prospect of environmentally acceptable processes for treating protein fibers. To modify the surface of wool by enzymatic treatments, proteases have been widely used due to their ability to catalyze the hydrolysis of peptide bonds in wool scales. Wool treated with protease can remove the lipid layer and also result in some oxidation of peptide links to a particular extent [38,39]. Plasma treatment seems a prospective option to impart new functional properties like water repellence, hydrophilicity, mechanical, antibacterial properties, and so on because of the nano scaled modification on textile fibers. At the same time, the natural aspect of fiber properties as well as the handle of the material remains unaffected. For wool fabrics, plasma treatments are replacing chemical textile treatments to achieve shrinkresistance and improved dyeability substantially. In addition, other effects can be obtained like modification of the cuticle layer, generation of new hydrophilic groups due to hydrocarbon chain oxidation, decrease of the chain length of fatty acids, enhancement of surface wettability, dyeability, fiber cohesion, and shrink resistance. In the case of large scale applications, atmospheric plasma treatments exhibit considerable merits with regard to the expense, time and space, than that of the vacuum plasma applications. Bulk chitosan and nano chitosan particles have been used in the study considered. The treated fabrics have been assessed with regard to their antimicrobial effect, dyeing by acid dyes, air permeability, and tensile strength and surface morphologies. In the case of antibacterial treatments, silver loaded chitosan particles have also been synthesized. Various treatments (enzyme, plasma and enzyme + plasma combinations) have geen given to modify the wool surface to improve biopolymer particles effect and to achieve required properties. Because of its many unique properties, the applications of chitosan in textiles have received very good focus in many investigations. The penetration of chitosan polymer into the fibre is restricted by its large molecular size and high viscosity. Hence, only surface deposition occurs and it results in deterioration in handle and appeal of the fabric. Reducing the particle size of chitosan to nano level increases the extent of penetration into fiber structure and maintains inherent properties of cotton fiber . A limited literature is available relating to the application of nano formed chitosan in textile industry [41-46]. For the investigation concerned, chitosan nanoparticles and chitosansilver nanoparticles have been synthesized. In the case of wool fabrics, enzyme and plasma treatment contributions of nanochitosan treatments have been studied with regard to different properties. Studies have also been carried out on comparison of chitosan and nano-chitosan in dyeing, antimicrobial effect, tensile strength, and surface morphology and air permeability properties. Addition of chitosan on the wool surface creates additional functional groups that result in hydrophilicity. Protease enzyme has hydrolytic effect on wool fibers and the diffusion barrier to water and dye molecules can be overcome. The capillarity is improved by plasma treatment through oxidation and etching reactions. Taking into account all such aspects; dual effects of enzyme, plasma and chitosan exhibit significant improvements while triple effects yield the best results . Upon assessment of dyeing results, it has been observed that chitosan, enzyme and plasma treatments alone increase dye uptake of wool by various mechanisms to a large extent than that of the control sample. Before chitosan treatment, enzyme and plasma treatments enable dye diffusion. Such influence is more prominent in case of combination of enzyme, plasma, chitosan and is found to be 2.5 times higher in K/S values than untreated one with good fastness properties. Nano-chitosan showed better properties due to its large surface area and smaller size when compared with bulk chitosan . When antibacterial effects are concerned, chitosan showed 93.98% effect against gram negative bacteria with combined treatments of enzyme and plasma. Chitosan silver nanoparticles showed the highest antibacterial effect on fabrics up to 97.66%. Almost complete antibacterial influence has been obtained through enzyme and plasma pretreatments before chitosan-silver nanoparticle application. There has been loss of tensile strength due to enzyme treatment but within acceptable limits. But, enhanced tensile strength and protective effect has been observed by post application of chitosan or nano chitosan. There has been a reduction in permeability to some extent by enzyme, plasma and chitosan considering air permeability test. Chitosan and nanochitosan in particular possess lower values in comparison with untreated one. The chemicals used in conventional textile finishing processes can be replaced by chitosan and nano chitosan particles. Findings have shown that ecological processes like enzyme and plasma improve their effect substantially without deteriorating bulk properties of wool fabrics. For finishing of wool, nano-sized chitosan and its application with ecological processes appears to be more feasible and prospective from the sustainability point of view in the textile industry. As silk is susceptible to attack by bacteria that can adhere easily and grow on it, and can result in its degradation and deformation, its use is greatly hindered by hard conditions of storage . Hence, it is much preferable to modify silk fabrics to show the antimicrobial activity in order to widen its scope of end uses. In comparison with conventional chemical, physical, physio chemical modifications, nano technology is considered as the futuristic approach for improvement in the performance of textiles [51-55]. In textile area, the major emphasis has been towards use of nano size substances and generating nano structures during finishing and manufacturing processes to impart anti-bacterial, water and oil repellency, soil resistance, anti-static, flame retardancy and enhanced dyeability properties. Silver nano particles are considered typical nano materials having wide range of anti-bacterial properties on Gram positive as well as Gram–negative bacteria. Nano particles were dispersed in the polymer (binder) matrix or coated/impregnated and finally become immobilized in the cotton fibre matrix. The polymeric materials have been found to be suitable to form composite dressings with silver nano particles because of their structure, tailorability and flexibility. A number of techniques have been reported for polymer immobilization in antimicrobial coatings based on their particular characteristics, viz as stabilizers during synthesis of silver nano particles for prevention of the aggregation of the nano particles, and as linkers for silver nano particles which are directly loaded or in situ synthesized in antimicrobial composite coating and enable regulated release of silver nano particles by both alteration of the interaction between polymer and nano particles and their concentration. Silk fibre has been coated with silver nano particles in order to achieve antimicrobial properties . Two kinds of approaches have been evolved to design silver nano particles functionalized on silk fibres. The first approach involves coating of silk surface using pre synthesized silver nano particle that has been immobilized by exhaust technique by means of impregnation. The second approach involves direct synthesis of silver nano particles in situ onto silk fibres. Silver ions are attached on silk fibres by means of electrostatic adsorption or ion exchange, followed by a reduction step to produce silver nano particle. The method of in situ synthesis was superficial and enabled strong binding between silver nano particle and the fibres and has been used for coating on silk . Different polymers like polyamide network polymer, poly(vinyl pyrrolidone) and polyacrylic acid ha polyamide network polymer, poly(vinyl pyrrolidone) and polyacrylic acid have been used to functionalize the surface of silk in order to enhance the extent of adsorption of silver ions in the in situ modification method [57,58]. Chemical reducing agents like hydrazine, glucose, sodium borohydride and citrate have been used to consequently reduce the silk absorbed silver ions to silver nano particle [59,60]. When silk fabric has been coated with the silver nano particle produced by chemical method through reduction of silver nitrate it showed good antimicrobial activity against S. aureus. After five wash cycles the fabrics showed up to 80% antimicrobial activity . The antimicrobial mechanism of silver nano particle has been proposed to be related to the formation of free radicals on the surface of silver nano particles (positive charges) as confirmed by ER investigations followed by free radical-induced membrane damage . It was finally confirmed that the antimicrobial activity of silver nano particle and silver nitrate was by NAC (N-Acetyl cysteine) [56-68]. It has been reported that the treatment of silver with silver nano particles by reduction of silver nitrate with hydrazine and glucose as reducing agents and with PVP as a dispersing and protecting agent . Exhaust technique has been used for the application of silver nano particles. The exhaust method of application has been used to study the antibacterial properties of silk fibres against Staphylococcus aureus and Escherichia coli regarding the effects of nano sized silver colloids . Silver nano particles have been coated on silk using sericin as capping agent after synthesizing by the reduction of silver nitrate with sodium borohydride in an aqueous solution . Investigations have been conducted on silk base wound dressings by incorporation of silk nano particle at low concentrations on electro-spun silk fibroin mats and it has been found that there is considerable antibacterial activity against S. aureus . Investigation has been carried out relating to the green chemistry method to synthesize silk sericin capped silver nano particles under alkaline conditions (pH 11) with silk sericin as a reducing and stabilizing agent in place of toxic chemicals . The antimicrobial behaviour of silk has been studied after synthesizing the silver nano particles in situ using silver nitrate and multi amino compound . But, the agglomeration of silver nano particles occurs in one step mixing of the compounds mentioned. Cotton fabric has been finished with commercial silver nano particles . SEM studies have been used to investigate the morphology of the silver nano particles finished cotton and it has been found that nano silver particles distribution was partially uniform and they were clustered while adhering to the fabric. The commercial nano silver particles have also shown to be spheroids having an average diameter of 20-90 nm. There have been reports relating to the findings on the bacteriostatic efficacy of chosen silver nano particles in the finishing of cotton textiles by the padding squeezing method with silver compounds in the resin matrix. When the silver finished fabrics have been observed using SEM it showed that silver compounds were well dispersed on the fabric surface. However, in certain cases, they form agglomerates of single particles. The treatment has proved good and durable in the case of Baccilus subtilis (Gram positive) as well as E. coli (Gram negative). Previous investigations have pointed out that the application of silver nano particles has been effected by exhaust method or by in situ synthesis of silver nano particles in the fibre matrix. But it is to be noted that pad dry cure technique is adopted for most of the textile finishing processes. Thus, efforts have been taken for application of silver nano particles with self-cross linking binders by pad dry cure method to simulate the current finishing technique used in the industry. 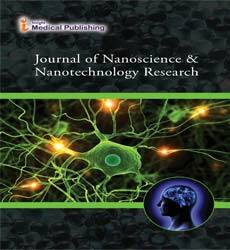 Application parameters were optimized and relevant physical, structural and antimicrobial properties were evaluated to find out the effect of treatment as well as mechanism of binding of silver nano particles by adopting standard test method and analytical techniques. By means of impregnation and coating self-cross linking acrylic binder enables the entrapping of silver nano particles. There seems to be no chemical binding between sill fibroin and silver nano particles . Morphological studies (SEM), FTIR studies, and X-ray diffraction studies have revealed that the treatment is predominantly impregnation followed by binding in the amorphous region of silk. Antimicrobial properties of the treated silk fabric are good and durable to dry cleaning. Because of the agglomeration of the silver nano particles, there has been a slight change in whiteness index of the treated silk fabrics. During the past few years, the techniques of green synthesis have prompted the continually increasing interest . Hence, an understanding of present environmental problems prompts for the green synthesis of nanoparticles. The synthesis of nanoparticles from a green chemistry point of view is related with the following aspects. • Stabilization of nano particles by means of a source of nontoxic material. The green preparation of nanoparticles by means of natural polymers such as chitosan, soluble starch, polypeptide, heparin, and hyaluronan used as reducing and stabilizing agents have been reported by some researchers . Recently, polysaccharide-based materials have been related to the synthesis of green silver nano particles by the use of an ecofriendly benign solvent; i.e., using water and polysaccharides as capping agents . Sodium alginate is a type of polysaccharide polymer that is isolated from marine algae and consists of β-D-mannuronic (M) and its stereoisomer α-Lguluronic (G) acid that forms a kind of linear block copolymer of branched chains. Owing to its outstanding cytocompatibility and biocompatibility, biodegradation, sol–gel transition properties, and chemical versatility which renders it more suitable with regard to modifications for design its properties, it is considered ideal for use [74,75]. Many free hydroxyl and carboxyl groups from its backbone permit it to dissolve well in water because of a negatively-charged carboxyl group. In the synthesis of sodium alginate (Na-Alg)-assisted AgNPs, the reaction between Na-Alg and Ag+ possibly leads to the formation of a Na-Alg complex [Ag (Na-Alg)]+, which is responsible for the formation of AgNPs by silver ion reduction in the presence of alginic acid regeneration. It has been reported that use of glucose can reduce silver ions to metallic silver to form silver nano particles, and through this process it is oxidized to glucolic acid . Owing to their remarkable properties alginates exhibit better stability than chitosan, which include being water-soluble that covers gel formation in the absence of heating or cooling, and also has crucial function in trapping molecules that remain free to migrate by diffusion, based on their size by means of capillary forces. Such features render alginates perfectly suited for the stabilization of silver nanoparticles so as to satisfy the need for the eco-friendly or green synthesis approach. Nowadays, the modification of silk material with AgNPs has attracted a good deal of interest for diverse applications in the clinical, safety, and production engineering, water technology, clothing, lightweight creation, and automotive industries . Rajshahi silk is the name given to the silk produced in Rajshahi, Bangladesh. It is a famous name in the clothing and textiles sector. Although the situation of the Bangladesh textile market is presently dominated by synthetic products, the charming features of Rajshahi silk allow it to maintain its celebrated position . Rajshahi silk is an aerial fibre that is flexible and is made from the cocoons of silkworms; it is covered by means of a protein called sericin which has wide application in textiles over many years owing to its inherent luster, notable flexibility, eco friendliness, and unique mechanical strength . The study on the chemical structure of silk has shown that the sericin protein is consists of 18 amino acids which mainly have sturdy polar moieties that comprise of hydroxyl, carboxyl, and amino groups which are adequate to bind charged functional group of natural or inorganic substances. Considering that silk is a natural protein fiber, it has structural resemblance of a human skin having easy, breathable, tender, non-itchy, and antistatic properties. Such distinct properties render silk an ideal material in the selective adhesion of metal ions . But, so far little research has been done relating to the advancement of “Rajshahi silk” fiber properties in order to retain their traditional position through a functionalization approach. In all possibilities, it is the first attempt of the surface treatment on Rajshahi silk fabric using green-synthesized silver nitrate by using Na-Alg as a reducing as well as stabilizing agent. An innovative approach to the functionalization of “Rajshahi silk fabric” by an exhaustive technique through the green synthesis of silver nitrate has been proposed. The presence of the functional groups has been confirmed through FTIR spectra, while the good crystalline structures of synthesized silver nitrate have been shown by TEM image and XRD data . The investigations of SEM ha chemical reducing agents such as hydrazine, glucose, sodium borohydride and citrate revealed that the silver nitrate have been well-deposited on the fiber surface, while the residue weight observed in the TGA experiment further proved the successful synthesis of silver nitrate on the silk fiber surface. The effects of pH, time, and temperature were also studied while AgNPs were applied on silk, where optimized conditions were determined at pH 4, and 40°C for 40 min. AgNPs treatment enhanced the color strength of silk and also improved the fastness towards light and washing, which suggests this method can overcome the limitations of traditional dyeing processes. Treatment using silver nanoparticles is found to enhance the tensile properties of and crease recovery angle of the fabric, with nearly no influence on the rigidity of the material. The findings from the bacterial test confirmed that the proposed technique proves very effective for antibacterial action, since the antibacterial activity increased with increasing concentration of silver nano particles on the surface of fiber. Recently, many eco-friendly nano finishing processes have been developed. The developments relating to the nano finishing of the protein fibre finishing have been highlighted. In order to enhance the deposition of titanium dioxide nanoparticles plasma treatment, considered as an eco-friendly process is used to prepare wool/PET fabric. The cross linking agent used is citric acid. SEM observation has revealed improved deposition. Investigation has been carried out relating to the self-cleaning property of the coated fabric. In the case of fabric samples treated using titanium dioxide after UV-radiation, the changes in color differences of samples have revealed that an appropriate discoloration has been obtained. Nanochitosan particles have been synthesized, applied on wool fabrics and compared with bulk chitosan with regard to different characteristics. Silver loaded chitosan nanoparticles have also been synthesized and studied with regard to its antibacterial activity by various techniques of application. It has more than 95% antibacterial effect against gram positive and negative bacteria. The influences on hydrophilicity, antibacterial activity, dyeing, air permeability, surface morphology and tensile strength were studied. Enzyme and atmospheric plasma treatments were used both alone and combined treatments before application of chitosan/ nanochitosan to increase their effects. It was noticed that enzyme and plasma treatments showed significant contributions on chitosan and nanochitosan in all investigated properties. From surface observations, it was seen that especially combined treatments caused a smoother surface on wool fabrics. Therefore improved hydrophilicity and dyeability properties could be obtained by ecological methods. As a result of dyeing process, the synergetic effect of enzyme, plasma and nanochitosan treatments led to 2.5 times higher K/S values than that of untreated fabric. Moreover, all treatments had no detrimental effects on bulk properties offabrics. Silver nano particles are fixed on the silk fibroin either by entrapping in the binder matrix or due to the adhesive force involved. The antimicrobial activity due to the treatment is found to be good and fast to dry cleaning with loss in strength well within the industrial norms. Sodium alginate assisted green silver nano particles have been applied on traditional rajshahi silk. The green silver nanoparticle coated traditional silk shows multifunctional characteristics and holds vast scope in the textile industry. In the case of wool, treatments like chemical, enzymatic, cyclodextrin, sericin, and plasma treatments can be used to overcome shrinkage (felting) and pilling which are considered as two major disadvantages. Perepelkin KE (2005) Principles and methods of modification of fibers and fiber material. Fibre Chemistry 37: 123-140. Worley SD, Sun G (1996) Biocidal polymers. Trends polymer Science 4 1996: 364-370. Mucha H, Höffer D, Abfalg S, Swerev M (2002) Antimicrobial finishes and modifications. Melliand International 4: 53-56. Ellis J (1996) Development in the shrink-resist processing of wool. Aachen Textiltagung 122: 113. Qi K, Xin JH, Daoud WA, Mak CL (2007) Functionalizing polyester fiber with a self-cleaning property using anatase TiO2 and low-temperature plasma treatment. Int J Appl Ceramic Technol 4: 554563. Mirjalili M, Karimi L, Barari-tari A (2015) Investigating the effect of corona treatment on self-cleaning property of finished cotton fabric with nano titanium dioxide. J Text Inst In press 106: 621. Vílchez S, Manich AM, Jovancic P, Erra P (2008) Chitosan contribution on wool treatments with enzyme. Carbohydrate Polymers 71: 515-523. Âska A, Lipp-Symonowicz B (2011) Research on the enzymatic treatment of wool fibres and changes in selected properties of wool. Fibres & Textiles in Eastern Europe 19: 88-93. Pakdel E, Daoud WA, Sun L, Wang X (2015) Photostability of wool fabrics coated with pure and modified TiO2 colloids. Journal of Colloid and Interface Science 440: 299-309. Tang B, Li JL, Hou XL, Afrin T, Sun L, et al. (2013) Highly efficient dye-sensitized solar cells by using a mesostructured anatase TiO2 electrode with high dye loading capacity. Ind Eng Chem Res 52: 4556. Phillips DM, Drummy LF, Conrady DG, Fox DM, Naik RR (2004) Dissolution and regeneration of Bombyx mori silk fibroin using ionic liquids. J Am Chem Soc 126: 14350. Cai Z, Jiang G, Yang S (2001) Advances in silk science and technology. Colour Technol 117: 161. Dubey SP, Lahtinen M, Särkkä H, Sillanpää M (2010) Bioprospective of sorbus aucuparia leaf extract in development of silver and gold nanocolloids. Colloids Surf 80: 26-33. Chen W, Yan J, Song N, Li Q, Yang B (2006) Study on silver nanopowder prepared by chemical reduction with an organic reductant. Guijinshu (Pre. Met.) 27: 14-17. Choi N, Seo D, Lee J (2005) Preparation and stabilization of silver colloids protected by surfactant. Mater Sci Forum 29: 394-396. Jiangmei Y, Huiwang T, Muling Z, Jun T, Zhang S, et al. (2009) PVP-capped silver nanoparticles as catalyst for oxidative coupling of thiols to disulÃ¯Â¬Âdes. Chin. J Catal 30: 856-858. Setua P, Chakraborty A, Seth D, Bhatta MU, Satyam P, et al. (2007) Synthesis, optical properties, and surface enhanced raman scattering of silver nanoparticles in nonaqueous methanol reverse micelles. J. Phys. Chem 111: 3901-3907. Xin JH, Daoud WA (2003) Small-scale technology with the promise of big rewards. Technical Textiles International 3: 13-15. Johnson NAG, Wood EJ, Ingham PE, McNeil SJ, McFarlane ID (2003) Wool as a technical fibre. Journal of the Textile Institute 94: 26-34. Bingshe X, Niu M, Wei L, Hou W, Liu X (2007) The structural analysis of biomacromolecule wool fiber with ag-loading SiO2 nano-antibacterial agent by UV radiation. Journal of Photochemistry and Photobiology A: Chemistry 188: 98-105. R Makinson (1979) Shrink proofing of wool. Marcel Dekker, New York, USA. 264-338. Ryo U, Yutaka S, Hiraku I, Munenori S, Takeki M (1991) Shrink resist treatment for wool using multifunctional epoxides. Textile Research Journal 61: 89-93. Allam OG (2011) Improving functional characteristics of wool and some synthetic fibres. Open Journal of Organic Polymer Materials 3: 8-19. Montazer M, Seifollahzadeh S (2011) Pre-treatment of wool/polyester blended fabrics to enhance titanium dioxide nanoparticle adsorption and self-cleaning properties. Color Technol 127: 322-327. Seifolahzadeh S, Montazer M (2010) Self-cleaning of methylene blue and acid blue 113 on wool/polyester fabric treated with nano titanium oxide under Uv irradiation without yellowing. J Color Sci Technol 4: 115-123. Aminoddin H, Ahmad MS, Firoozmehr M, Sayyedeh ET (2014) Environmentally friendly pretreatment for enhanced coating of TiO2 nanoparticles on PET/wool fabric, international conference on chemical. Civil and Environmental Engineering (CCEE’2014). Demir A, Ozdogan E, Ozdil N (2011) Ecological materials and methods in the textile industry: Atmospheric-plasma treatments of naturally colored cotton. Journal of Applied Polymer Science 119: 1410-1416. Â W (2004) Selected properties of wool treated by low-temperature plasma. Fibres and Textiles in Eastern Europe 12: 58-62. Hegemann D, Hossain MM, Balazs DJ (2007) Nanostructured plasma coatings to obtain multifunctional textile surfaces. Progress in Organic Coatings 58: 237-240. Zhang H, Wang LL (2010) Study on the properties of woolen fabric treated with chitosan/TiO2 sol. The Journal of The Textile Institute 101: 842-848. Huang K, Sheu Y, Chao I (2009) Preparation and properties of nanochitosan. Polymer-Plastics Technology and Engineering 48: 1239-1243. Yang H, Wang W, Huang K (2010) Preparation and application of nanochitosan to finishing treatment with anti-microbial and anti-shrinking propertie Carbohydrate Polymers 79: 176-179. Ali SW, Rajendran S, Joshi M (2011) Synthesis and characterization of chitosan and silver loaded chitosan nanoparticles for bioactive polyester. Carbohydrate Polymers 83: 438-446. Gouda M, Hebeish A (2010) Preparation and evaluation of CuO/chitosan nanocomposite for antibacterial finishing cotton fabric. Journal of Industrial Textiles 39: 203-214. Hebeish A, Sharaf S, Farouk A (2013) Utilization of chitosan nanoparticles as a green finish in multifunctionalization of cotton textile. International Journal of Biological Macromolecules 60: 10-17. Kaliyamoorthi K, Thangavelu R (2015) Union dyeing of cotton/nylon blended fabric by plasma-nano chitosan treatment. fashion and textiles 2: 1-10. ÂÃÂ±k M (2004) Application of enzymes and chitosan biopolymer to the anti-felting finishing process. Journal of Applied Polymer Science 93: 2903-2908. Lewis DM (1992) The structure of wool. Wool Dyeing, DM Lewis (ed), Society of Dyers and Colourists, Bradford UK, 2-3. Yang H, Wang W, Huang K (2010) Preparation and application of nanochitosan to finishing treatment with anti-microbial and anti-shrinking properties. Carbohydrate Polymers 79: 176-179. Chattopadhyay D, Inamdar MS (2013) Improvement in properties of cotton fabric through synthesized nano-chitosan application. Indian Journal of Fibre &Textile Journal 38:14-21. Acar Cakir B, Budama L, Topel O, Ve Hoda N (2012) Synthesis of ZnO nanoparticles using PS-B-PAA reverse micelle cores for UV protective, self-cleaning and anti-bacterial textile applications. colloids and surfaces A: Physicochemical and Engineering Aspects 414: 132-139. Jocic D, Vílchez S, Topalovic T (2005) Chitosan/acid dye interactions in wool dyeing system 60: 51-59. Â, AslÃÂ± D (2016) A green application of nano sizedchitosan in textile finishing. Tekstil Ve Konfeksiyon 26: 414. Jin HJ, Park J, Valluzzi R, Cebe P, Kaplan DL (2004) Biomaterial films of Bombyx Mori silk fibroin with poly(ethylene oxide). Biomacromolecules. 5: 711. Gao Y, Cranston R (2008) Recent advances in antimicrobial treatments of textiles. Text Res J 78: 60. Kamyar S, Mansor BA, Zin WM, Wan Y, Abdolhossein R, et al. (2010) Synthesis of silver nanoparticles in montmorillonite and their antibacterial behaviour. Int J Nanomedicine :581. Suh WH, Suslick KS, Stucky GD (2009) Nanotechnology, nanotoxicology, and neuroscience. Prog Neurobiol 87: 133-170. Matyjas-Zgondek E, Baciarelli A, Rybicki E, Syznkowska MI, Kolodziejczyk M (2008) Influence of production progress on the heavy metal content in flax fibers. Fibres Text Eastern Eur 16: 101. Amato E, Diaz-Fernandez YA, Taglietti A, Pallavicini P, Pasotti L, et al. (2011) Synthesis, characterization and antibacterial activity against gram positive and gram negative bacteria of biomimetically coated silver nanoparticles. Langmuir 27: 9165-9173. Guo LY, Yuan WY, Lu ZS, Li CM (2013) Polymer/nanosilver composite coatings for antibacterial applications. Colloids Surf A: Physiochem Eng aspects 439: 69-83. Yu WD, Kuzuya T, Hirai S, Tamada Y, Sawada K, et al. (2012) Preparation of Ag nanoparticle dispersed silk fibroin compact. Appl Surf Sci 262: 212-217. Jurasekova Z, Domingo C, Garcia-Ramos JV, Sanchez-Cortes S (2008) In situ detection of flavonoids in weld-dyed wool and silk textiles by surface-enhanced Raman scattering. J Raman S pecctrosc 39: 1309-1312. Zhang D, Toh GW, Lin H, Chen YY (2012) In situ synthesis of silver nanoparticles on silk fabric with PNP for antibacterial finishing. J Mater Sci 47: 5721-5728. Wang XM, Gao WR, Xu SP, Xu WQ (2012) Luminescent fibers: In situ synthesis of silver nanoclusters on silk via ultraviolet light-induced reduction and their antibacterial activity. Chem Eng J 210: 585-589. Abbasi AR, Morsali A (2011) Influence of various reduction reagents on the morphological properties of Ag nanoparticles silk fiber prepared using sonochemical method. J Inorg Organomet Polym 21: 369-375. Song XQ, Liu A, Ji CT, Li HT (2001) The effect of nano-particle concentration and heating time in the anti-crinkle treatment of silk. J Jilin Inst Technol 22: 24-27. Kim JS, Kuk E, Yu KN, Kim JH, Park SJ, et al. (2007) Antimicrobial effects of silver nanoparticles. Nanomed Nanotechnol 3: 95-101. Gulrajani ML, Gupta D, Periasamy S, Muthu SG (2008) Preparation and application of silver nanoparticles on silk for imparting antimicrobial properties. J Appl Polym Sci 108: 614-623. Moazami A, Montazer M, Rashidi A, Mohammed KR (2010) Antibacterial properties of raw and degummed silk with nanosilver in various conditions. J Appl Polym Sci 118: 253-258. Bhat PN, Niveditha S, Roy S (2011) Research and practice for persons with severe disabilities. Indian J Fibre Text Res 36: 168. Uttayarat P, Jetawattna S, Suwanmala P, Eamsiri J, Tangthong T, et al. (2012) Antimicrobial electrospun silk fibroin mats with silver nanoparticles for wound dressing application. Fiber Polym 13: 999-1006. Aramwit P, Bang N, Ratanavaraporn J, Ekgasit S (2014) Green synthesis of silk sericin-capped silver nanoparticles and their potent anti-bacterial activity. Nanoscale Res Lett 9: 79. Zhang G, Liu Y, Gao X, Chen Y (2014) Synthesis of silver nanoparticles and antibacterial property of silk fabrics treated by silver nanoparticles. Nanoscale Res Lett 9: 216. Chen W, Wu W, Chen H, Shen Z (2003) Preparation and characterization of noble metal nanocolloids by silk fibroin in situreduction. Science China Series B 46: 330. Vinay GN, Shukla SR (2017) Antimcirobial treatment of silk with silver nanoparticles using acrylic binder. Ind J Fibre Text Res 42: 465. Bonilla JJA, Guerrero DJP, Sáez RGT, Ishida K, Fonseca BB, et al. (2017) Green synthesis of silver nanoparticles using maltose and cysteine and their effect on cell wall envelope shapes and microbial growth of Candida spp. J Nanosci Nanotechnol 17: 1729-1739. Wei D, Sun W, Qian W, Ye Y, Ma X (2009) The synthesis of chitosan-based silver nanoparticles and their antibacterial activity. Carbohydr Res 344: 2375-2382. Park Y, Hong Y, Weyers A, KimY, Linhardt R (2011) Polysaccharides and phytochemicals: A natural reservoir for the green synthesis of gold and silver nanoparticles. IET Nano biotechnol 5: 69-78. Yang J, Chen S, Fang Y (2009) Viscosity study of interactions between sodium alginate and ctab in dilute solutions at different pH values. Carbohydr Polym 75: 333-337. Tønnesen HH, Karlsen J (2002) Alginate in drug delivery systems. Drug Dev Ind Pharm 28: 621-630. Darroudi M, Ahmad MB, Abdullah AH, Ibrahim NA, Shameli K (2010) Effect of accelerator in green synthesis of silver nanoparticles. Int J Mol Sci 11: 3898-3905. Lu Z, Xiao J, Wang Y, Meng M (2015) In situ synthesis of silver nanoparticles uniformly distributed on polydopamine-coated silk Ã¯Â¬Âbers for antibacterial application. J Colloid Interface Sci 452: 8-14. Sheikh MRK, Farouqui AN, Yahya R, Hassan A (2011) Effect of acid modiÃ¯Â¬Âcation on dyeing properties of rajshahi silk fabric with different dye classes. Fibers Polym 12: 642-647. Zhang D, Toh GW, Lin H, Chen Y (2012) In situ synthesis of silver nanoparticles on silk fabric with PNP for antibacterial Ã¯Â¬Ânishing. J Mater Sci 47: 5721-5728. Naik R, Wen G, Hureau S, Uedono A, Wang X, et al. (2010) Metal ion binding properties of novel wool powders. J Appl Polym Sci 115: 1642-1650. Sakil M, Zakia MS, Md Nahid PID, Md. Ahsan H, Hui-Hong L (2017) Surface functionalization of Rajshahi silk using green silver nanoparticles. Fibers 5: 1.